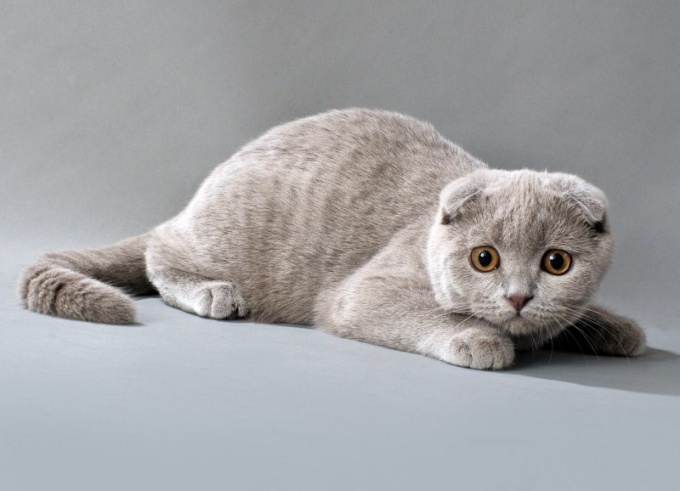 If you have a Scottish fold, you're in luck: almost all felines are more loyal. Of course, he'll give himself a Pat just in case, if he wants, but this is from freedom and not from lack of sympathy to your address. These warm relations will last at least 12-15 years. Of course, if the cat is properly fed, and he will not get sick. Work out a meal plan. Scottish-fold from a very early age must be accustomed is strictly at a certain time. Try not to deviate from this mode. For example, if a working day, the morning feeding at 8 o'clock, at the same time, you should get up and at weekends. With regard to the frequency that veterinarians recommend feeding cats 3-5 times a day. If this is not possible – buy the automatic feeder and leave the daily rate of feed in it. 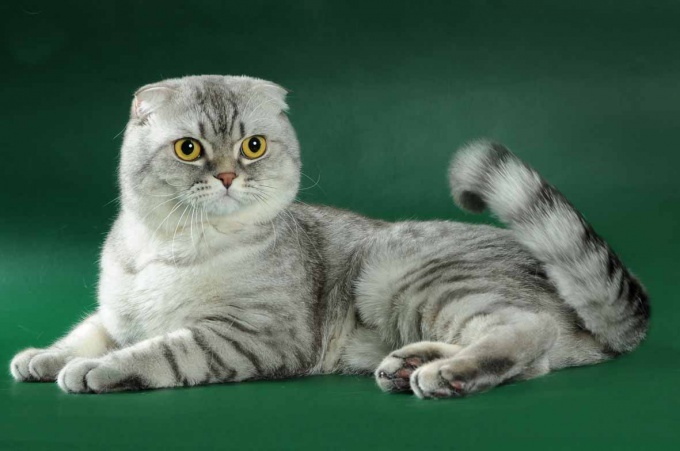 Scottish-fold very quickly learn and benefit without problems. Of course, you leave on your day you should only dry food. Otherwise, the cat food will quickly become worthless. Select the type of feed. Veterinarians civilized countries broke a lot of copies about which food is best for cats – food, commercial or homemade food. Advocates of the purchase of feed refer to their balance. Opponents – on "chemistry" and the artificiality of ingredients in the composition. In fact, it is important to choose the right food. The premium group, this product produced exclusively from meat and fish meal with the addition of flour, vegetables and grains - food that is no "crime" in itself do not carry. Remember one fact: they are sold in specialty stores, and feed present on the shelves of supermarkets and hypermarkets, Scottish-foldem better not to give. Make a correct diet, if you're going to feed your cat homemade food. Remember that this breed of cat are big boned and quite muscular, and therefore in need of increased consumption of protein and calcium. 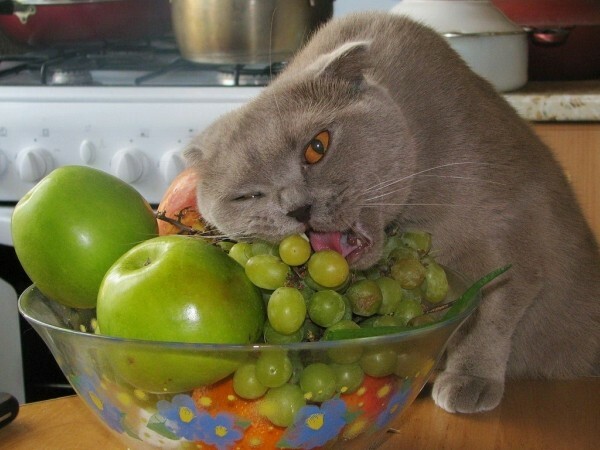 And another important tip for those who decide to feed the Scottish fold home-made food. "Home" is not a synonym of the expression "food from your table. The cat will have to cook separately because many "human" foods to him undesirable. 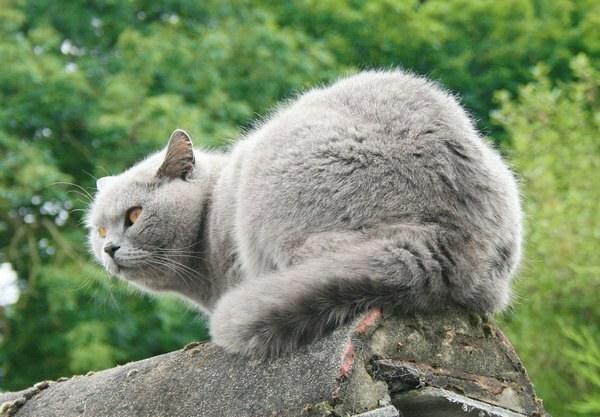 Optimum for cats is white chicken meat, which should be boiled about 10-15 minutes after boiling in water without salt. If you want to feed the Scottish fold raw beef or beef liver – you can use them only pre-freezing, and then ottaw. However, cook better, of course, fresh meat. As a side dish well suited porridge from sprouted grains. It's a grain, but with green sprouts and fresh, well give Scottish-foldem as a vitamin Supplement (it helps the conclusion of swallowed hair). Times a day, cats should be fed milk products – fresh, natural and without fruit or sweet toppings. But the fish and milk from their diet should be completely excluded.